As treatment strategies evolve across all tumor types, investigators are putting a more prominent focus on improving quality of life (QoL) for patients with cancer, in addition to prolonging their survival. 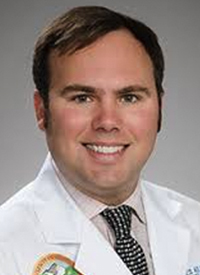 This consideration should inform the role of surgery in prostate cancer, said James Kearns, MD. For example, in patients with high-risk disease, it is important to consider the need for additional therapies down the road, he explained. Therefore, when deciding whether to use surgery in this population, physician needs to be sure that the adverse events (AEs) associated with the procedure can be effectively managed. In an interview at the 2018 OncLive® State of the Science Summit™ on Genitourinary Cancers, Kearns discussed key issues to consider with surgery in patients with high-risk prostate cancer. Kearns: I discussed some data and evidence looking at outcomes of patients with high-risk prostate cancer who are operated on. We compared this with radiation therapy. We also took a look at some adjacent evidence—patients with similar diseases—and brought a conclusion together pertaining to who the ideal candidates for surgery are. Fundamentally, it comes down to the patients in who we believe we can remove the bulk of their disease surgically. It also comes down to patients who are not at risk for recurrent disease. We should also avoid operating on patients who have node-positive disease. The plurality of the evidence we have seen support this. Could you describe some of these physician-patient conversations about surgery? It is patient-dependent. There are some patients who say, “I have cancer in me, I must get it cut out no matter what.” A lot of it comes down to the patient's risk tolerance for recurrence. In a lot of patients with high-risk prostate cancer, there is a relatively high probability that they will need additional therapy down the road—either radiation therapy or hormone therapy. When I am having this conversation with patients, I want to make sure they know this is a possibility no matter what. We want to make sure if we are doing the surgery, there is a good chance we can at least delay this further therapy for as long as possible. Otherwise, they will get it anyway, so why undergo surgery as well? On the flip side, if a patient is skeptical about having surgery, it is worth having the conversation. You need to let them know the risks and benefits. However, more often than not, the patients are pushing for surgery rather than against surgery. What is the importance of communicating the risks and benefits of surgery to patients? We need to be careful when we make these decisions. Surgery for high-risk patient is often not going to be nerve-sparing, so patients will generally have erectile dysfunction. Continence rates will be lower, although not necessarily when operating on bulky high-risk disease. These are factors to consider with these patients: what is the QoL going to be? If we are prolonging survival by a couple of months or even a couple years, but at the cost of poor QoL—this is something patients need to understand. How has the use of surgery in prostate cancer evolved in recent years? If anything, we have moved to operating on more aggressive prostate cancer. We are beginning to see the idea that perhaps surgery has a value in the oligometastatic setting in carefully selected patients but more clinical trials need to be done looking at this. I certainly would not advocate on operating on oligometastatic patients outside of a clinical trial setting. Do you see a role for immunotherapy in prostate cancer? Currently, we are seeing that immunotherapy is lacking in this space—at least across the board. There is probably a subset of patients who may end up responding better, but the data are not quite there yet. Prostate cancer is different from other urologic cancers. Where does further research need to go in this setting? We need to help men make better decisions about their treatment. We know there are many effective treatments out there, and the one a patient chooses is going to be based on their individual disease characteristics and also their values. Everything has potential AEs. For example, active surveillance delays erectile dysfunction and urinary incontinence. But it increases anxiety in the sense that you have cancer that is not being immediately treated. On the other hand, we have seen lots of QoL studies looking at radiation therapy versus surgery for primary treatment. It seems that on the balance, patients do the same from a QoL standpoint, but the different domains have different levels. Putting all of this together into a treatment plan is going to be critical.